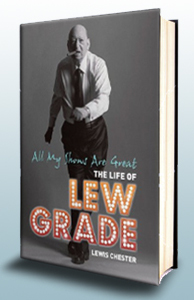 A brand new biography of Lew Grade has just been published, and TV Cream has a copy that it is giving away in a manner at which the great man would have scowled, i.e. for free. What was the vision that Lew had while flying to the US to ask for money to make Jesus of Nazareth? Send your answer to competition@tvcreamtest.co.uk – we’ll announce the winner at the weekend. 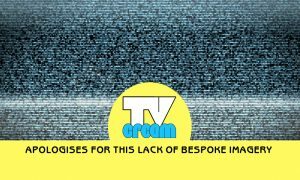 If you fancy another chance at nabbing the book, there’s a different competition in this week’s Creamguide; not the old Yahoo version that’s been running for flipping years, but the brand new version to which you can subscribe via the TV Cream website. If you haven’t yet signed up for this mailout, enter your details in the box in the right hand column of this page where it says, er, subscribe to Creamguide. And the winner is… Daniel Box! Congratulations Dan, and thanks also the rest of you who took part. As for the answer, Lew had a vision of the number 25. He took this to mean that he should ask the US networks not for $2,500, or $25,000, but a whopping 25 million dollars to fund Jesus of Nazareth. And, being Lew, that’s what he got.